Add class and make every report stand out! Quick, Easy & Secure way to bund reports, manuals, and more. Holds up to 30 pages. Organize & protect 8-1/2’ x 11” papers with heavy-duty covers. 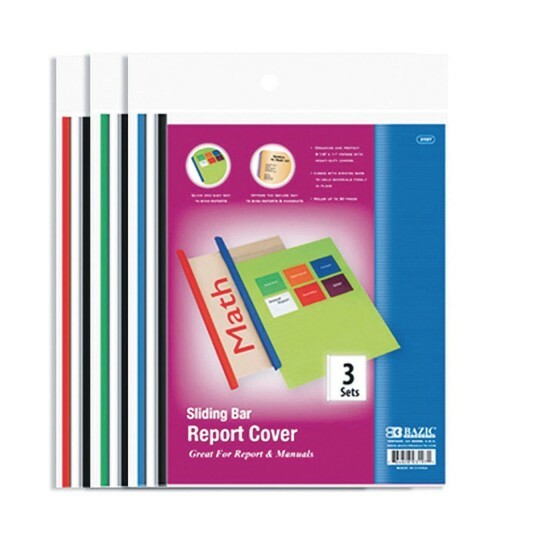 Translucent cover protects your papers and shows your title page clearly. Sliding bar colors come in black, white, red, green, and blue (colors may vary).